ArchEcology celebrated 10 years of certified green buildings with an anniversary event on September 15th held on the 40th floor of the Premiere on Pine building. 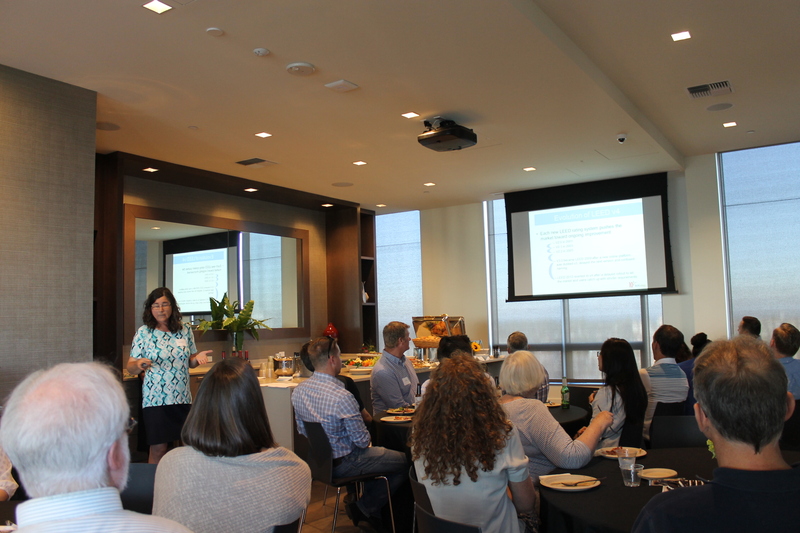 Against a backdrop of spectacular views, participants learned what it takes to successfully certify a building in the newest LEED rating system – v4- which becomes mandatory for all new registrations on November 1, 2016. The presentation we gave, called How to Succeed in LEED v4, can be found on our Resources page. If you’d like to hear it from us and earn AIA continuing education credits, get in touch and we’ll schedule a lunch time session for your staff.